Glowcare are a specialist Saunier Duval Boiler Service & Repair company. We serve most of the large towns & cities in North West England. We also cover many other smaller, local & rural areas. We have been carrying out affordable, sensibly priced annual boiler services for our Saunier Duval customers Cheshire, Gt Manchester, Liverpool & North Wales, for over twenty years. Please see our Customer Testimonials page. We are proud to have been Accredited Approved Service Agents for Saunier Duval for all of that time. We are also factory trained on all the different Saunier Duval boiler models that have been produced from the early 1990s, up to the present day. Glowcare service all older Saunier Duval Combination Boilers including; SD 620, SD 623, SD 23, SD 30e, SD Theila, Thema Classic f30e, Thema Plus, Isomax, Isofast & Xeon as well as the newer, current models such as Thema Condens, Isotwin & Enviroplus. So regardless of which type of Saunier Duval boiler you have, we can help. For a friendly, professional company, with 20 years experience & expert knowledge of Servicing & Repairing Saunier Duval Central Heating Boilers, please call Glowcare. 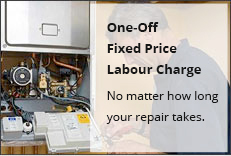 Call us today to book an affordable, one-off fixed price Saunier Duval boiler service.